You want a unique, one-of-a-kind cycle that fits your personality. You also want it to be made from high-quality parts and sold at a fair price. There’s one place that can meet all of your needs better than any other: Wimmer Custom Cycle. At Wimmer Custom Cycle, our goal is to help customers turn any cycle into the machine of their dreams. Our custom parts are made in America of the highest-quality materials, the latest technology, and a passion that only a true enthusiast can appreciate. When a customer buys parts from Wimmer Custom Cycle, that customer knows the part will provide many years of reliable use. Many of our customers even move parts from one cycle to the next, since each part’s modular design allows it to adapt to newer designs and different motorcycles. Each part comes with a brilliant show chrome finish, but that can be easily changed. Customers can ask for a special finish at no extra cost, such as powder coat, brass, copper, and satin nickel. The attractiveness of these parts will add to the overall look of any motorcycle, increasing its value and turning heads everywhere it goes. With Wimmer Custom Cycle’s lifetime warranty, customers have the peace of mind of knowing they’ll receive service long after the sale. Our customer service is unmatched by many of our competitors, with warranty protection not normally found in the industry. Each motorcycle part has a lifetime warranty on its structural integrity, demonstrating our commitment to making sure every single customer is 100 percent satisfied. 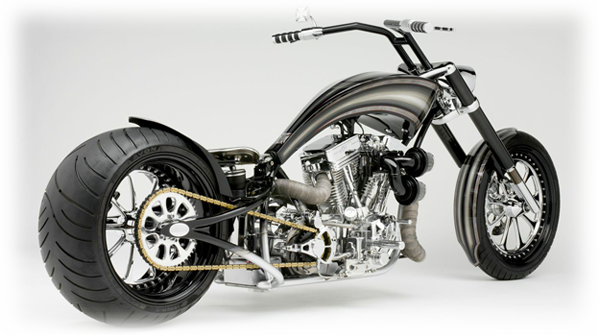 When you’re interested in high-quality motorcycle parts made in the USA, Wimmer Custom Cycle is the choice for you. You can search the globe and you’ll never find as many choices as you find at Wimmer Custom Cycle. Our parts not only make your cycle more attractive, they are highly functional, making sure your cycle operates at peak performance wherever you go.